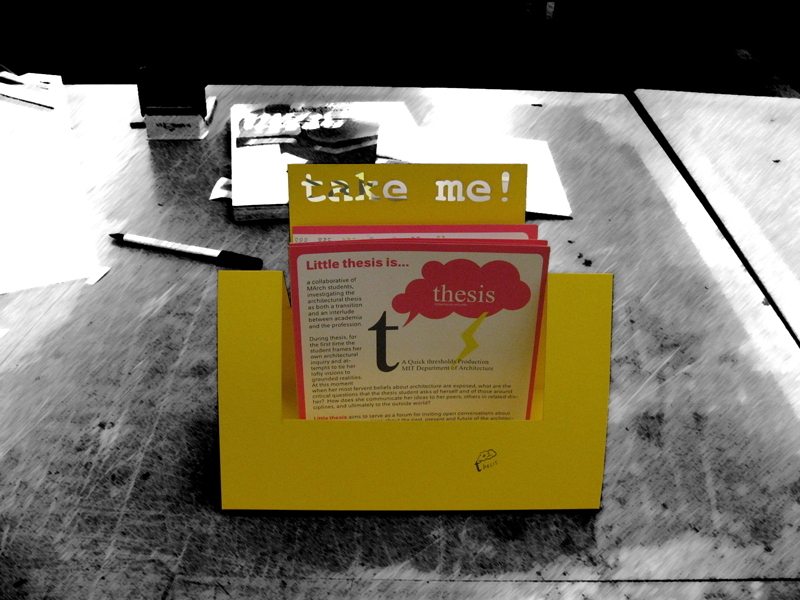 During thesis, for the first time the student frames her own architectural inquiry and attempts to tie her lofty visions to grounded realities. At this moment when her most fervent beliefs about architecture are exposed, what are the critical questions that the thesis student asks of herself and of those around her? 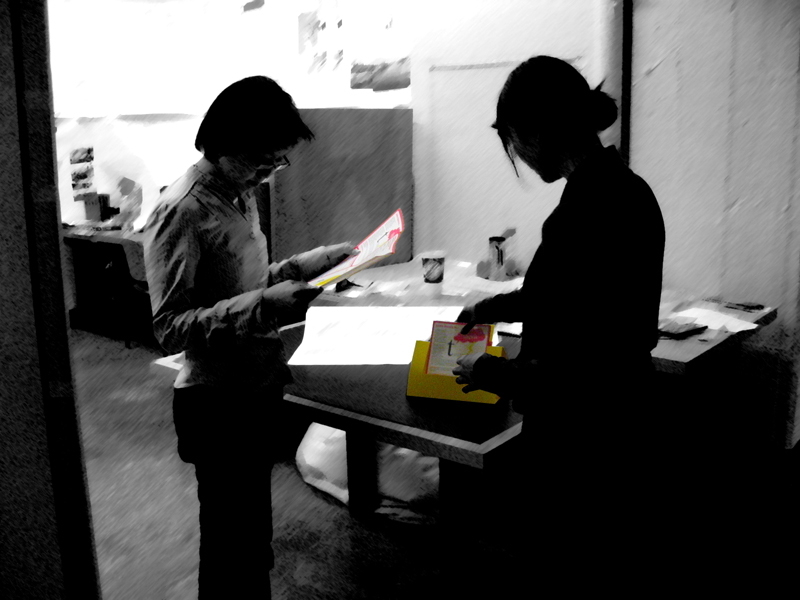 How does she communicate her ideas to her peers, others in related disciplines, and ultimately to the outside world? 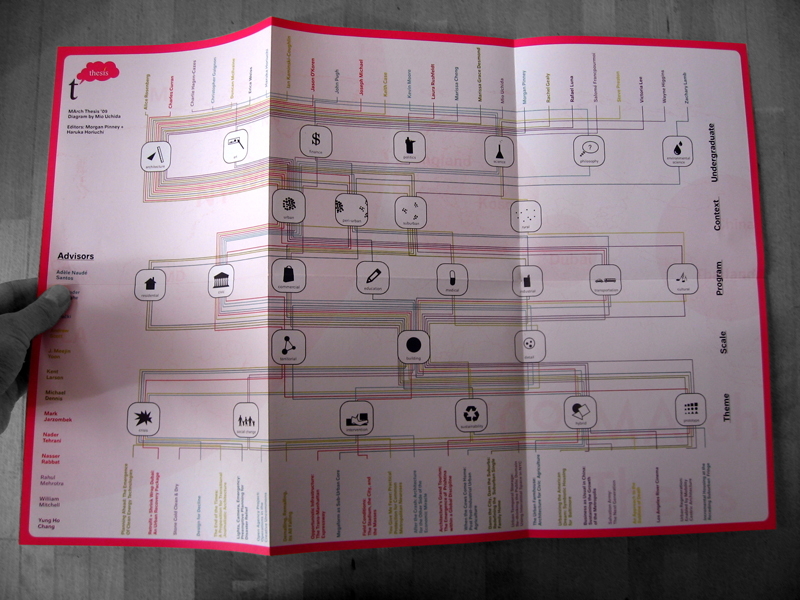 Little thesis aims to serve as a forum for inviting open conversations about these and other questions about the past, present and future of the architectural thesis. 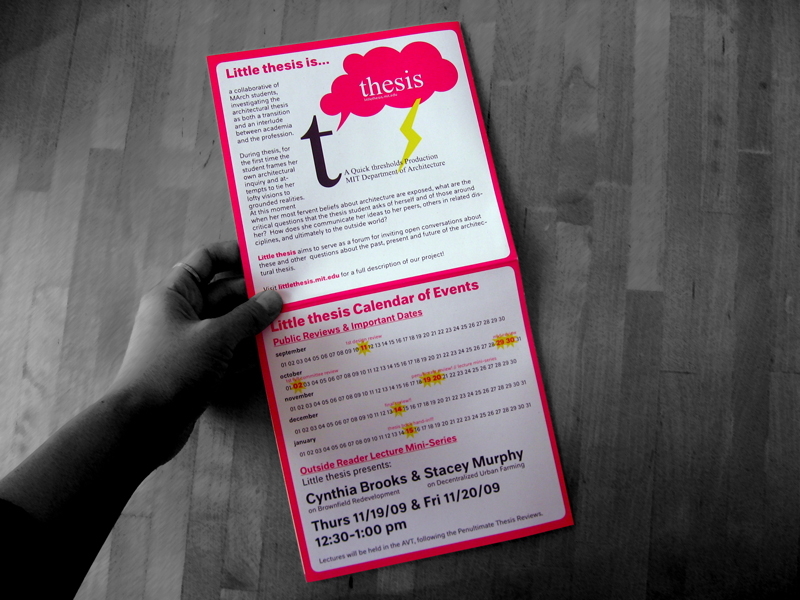 This first issue of Little thesis took the form of a splash publication, debuting during the MIT MArch Open House in November 2009. 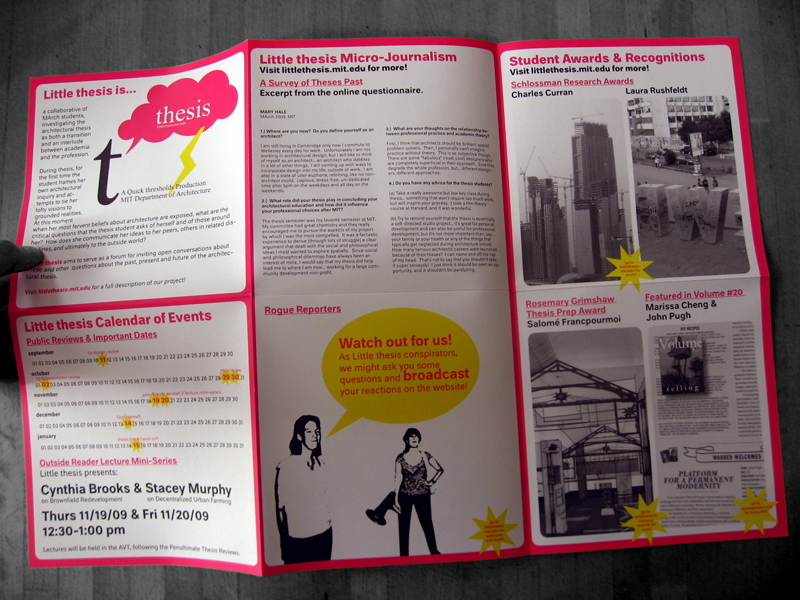 The front of the issue promoted new content on the web, while the back featured a diagram of the current thesis projects by Mio Uchida. 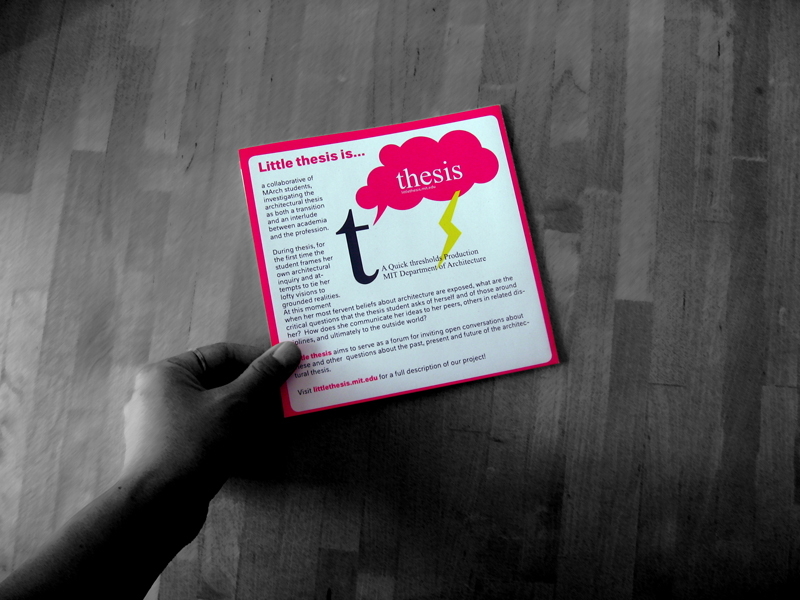 Stay tuned for updates on the next issue of Little thesis!